If you’re injured in New York City because of someone else’s negligence, speak at once with an experienced Bronx personal injury attorney about filing a personal injury lawsuit. 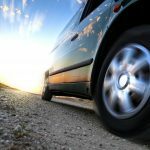 When you pursue a personal injury claim in the New York City civil court system, sometimes the defendant(s) or insurance companies may make you a reasonable settlement offer to close the case. 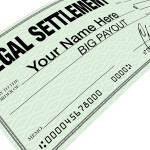 In other cases, if you reject a settlement offer, the case may proceed to the trial phase. Eventually, six jurors and several alternates will be chosen. A personal injury trial begins with the plaintiff’s case. Witnesses are sworn in, and the plaintiff’s version of events is presented. Evidence such as pictures or documents may be offered as exhibits. The defense attorney can cross-examine the plaintiff’s witnesses. 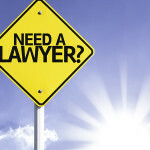 After cross-examination, a plaintiff’s attorney can keep witnesses on the stand for “redirect examination” to explore issues discussed in the cross-examination. When the plaintiff’s side rests its case, the defense presents its alternate version of the story, followed by cross-examination and redirect examination. When the defense rests, the plaintiff’s attorney may present evidence in a rebuttal to the defendant’s case. Then the judge instructs the jury to determine the outcome of the case based on the evidence and the law. If a jury cannot reach a verdict, the judge declares a mistrial, and the case may be retried with another jury at a later date. Don’t be intimidated by courts or by courtroom procedures. They exist to protect your rights and ensure justice for all. If you’ve been injured by someone else’s negligence in or near the New York City area, let an experienced Bronx personal injury attorney handle your case, guide you through the legal process, and advocate on your behalf for the compensation you need and the justice you deserve.